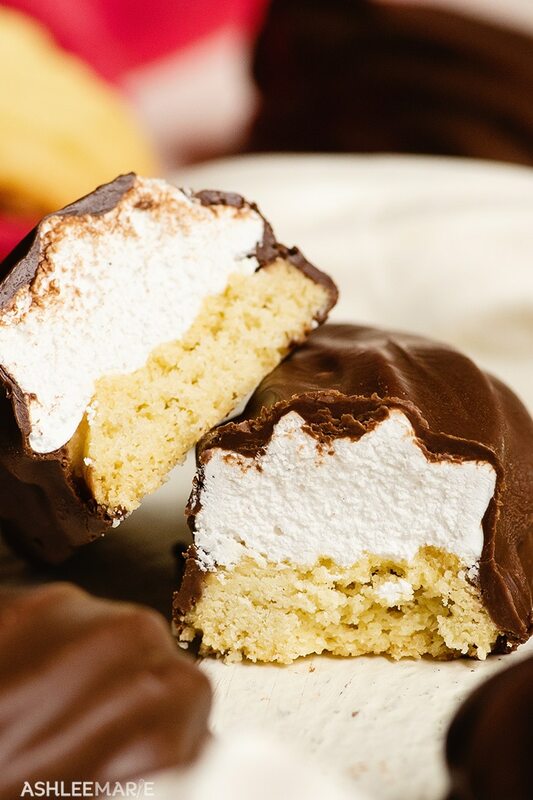 These Chocolate covered Shortbread Marshmallow Cookies are fun, easy, and taste amazing. Walkers Vanilla shortbread is the perfect sweet crunchy base for these cookies. I grew up on Walkers Shortbread! 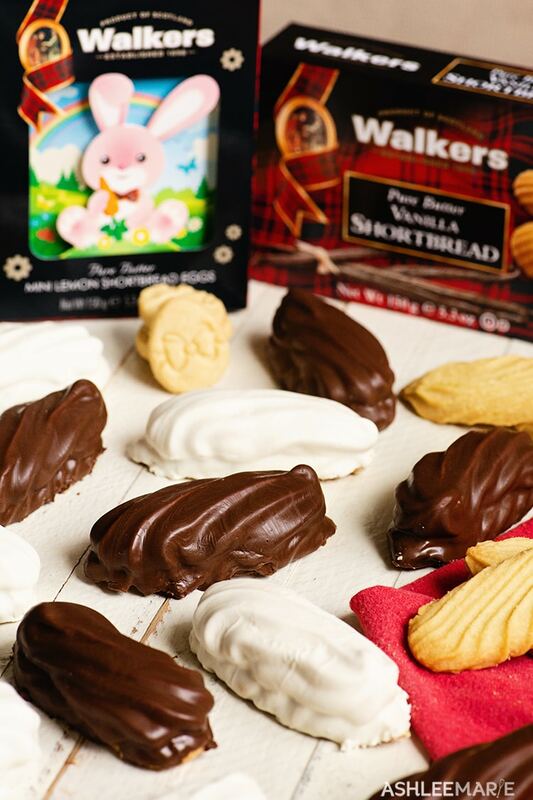 All Walkers Shortbread cookies are made in Scotland using the original recipe created over 120 years ago. It’s a family owned business dedicated to baking the World’s Finest Shortbread and other delicious treats as well. 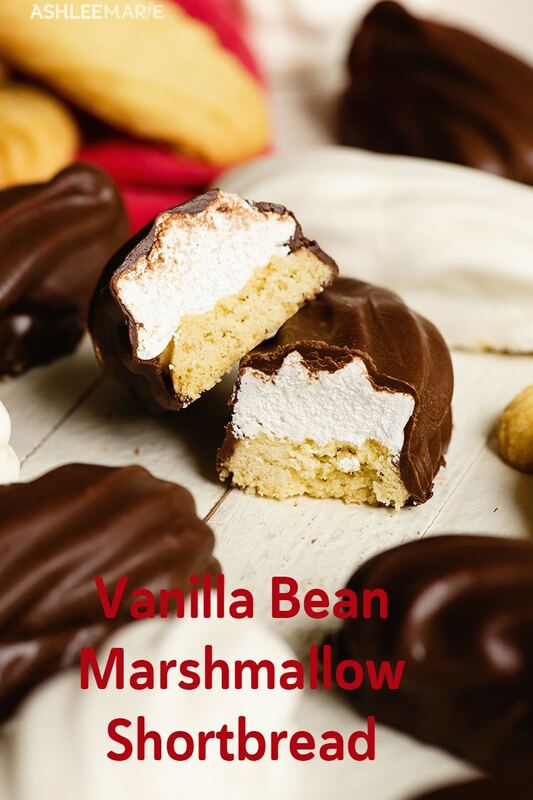 They were and are my mom’s favorite and so when they approached me about creating recipes using these sweet treats I jumped at the chance. The day I got a box full of their Vanilla Shortbread in the mail was seriously the best day ever! They also sent me this adorable 3D Mini Lemon Shortbread Bunny Carton filled with Easter egg-shaped lemon shortbread – perfect for my kids Easter baskets this year! Honestly I plan on making lemon marshmallow to top these lemon shortbread’s with and dip in lemon white chocolate!!! Anyway back to the recipe – I thought these oval shaped Vanilla Shortbreads, which are flecked with real vanilla and smell as good as they taste, would be the perfect base for a vanilla bean marshmallow and then covered in chocolate. AND I was right – they are divine! 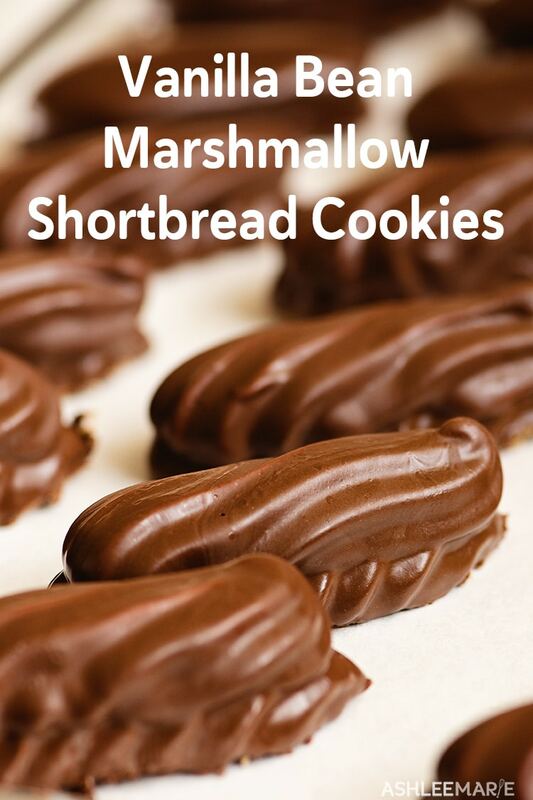 Just take me to the Marshmallow Shortbread Cookies Recipe already! 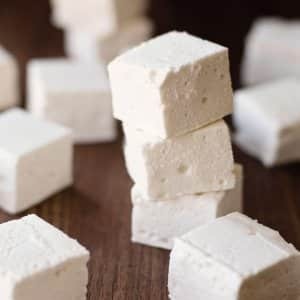 If you’d rather skip my tips and tricks for Homemade Marshmallow cookies, along with links to other Marshmallow recipes and get straight to this delicious Marshmallow Shortbread – simply scroll to the bottom of the page where you can find the printable recipe card. 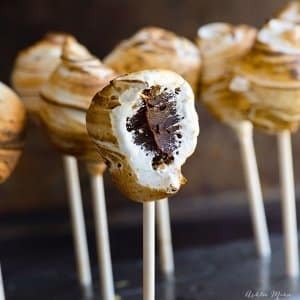 Test your candy thermometer – water boils at sea level at 212 degrees – and candy thermometers and recipes are written for sea level – so using your candy thermometer boil water and take note of what temperature it boils at – for me it was 193 degrees, so a 19 degree difference. Adjust the temperature goal for the recipe – this calls for softball stage, 240 – so I adjust by 19 degrees so my goal is to hit 221 degrees. 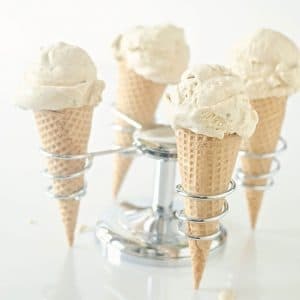 Flavoring – you can add any flavor you want, to compliment the vanilla shortbread I use vanilla bean paste, but any extract will work. 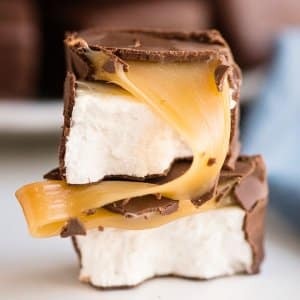 Let the chocolate cool slightly, so it’s warm to the touch but not hot, so it’s not too hot to melt the marshmallow as you coat the cookies. If you love these Marshmallow topped Vanilla Shortbread Cookies as much as we do, let me know with a 5-star review and be sure to share on Facebook, Instagram or Pinterest! If you want to stay updated on new recipes sign up for my newsletter and join my Facebook Group! 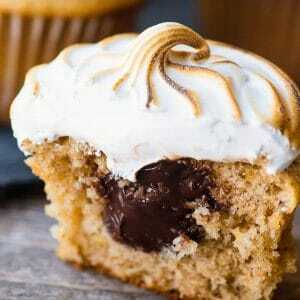 If you love homemade Marshmallows you’ll love these other sweet recipes! 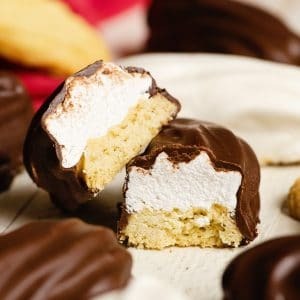 These Chocolate covered Shortbread Marshmallow Cookies are fun, easy, and taste amazing. 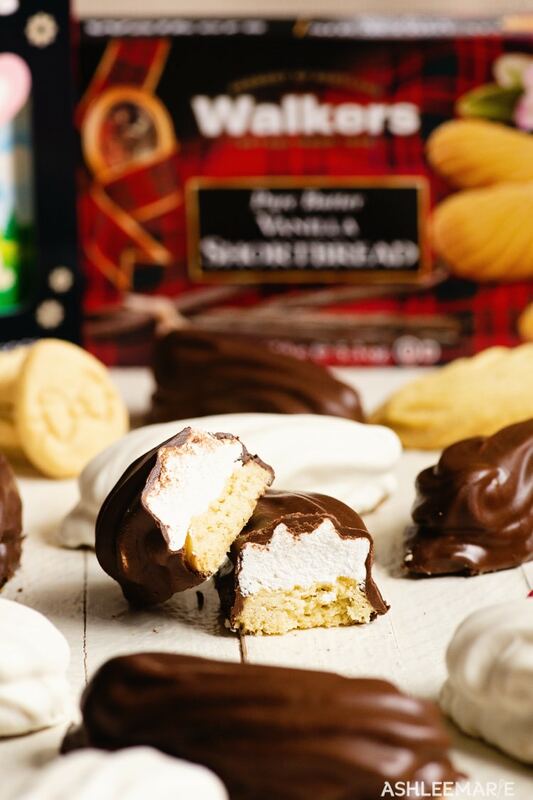 The Walkers Vanilla shortbread is the perfect sweet crunchy base for these cookies. Boil steadily until it hits the softball stage, 240 degrees (adjust for your altitude), about 15 minutes without stirring. 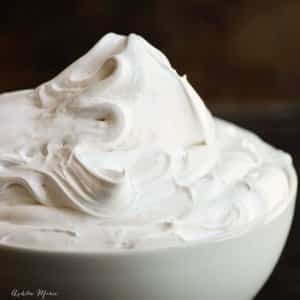 Remove from the heat and pour into a bowl, or mixer and add the vanilla bean paste and beat the mixture until very thick and white.